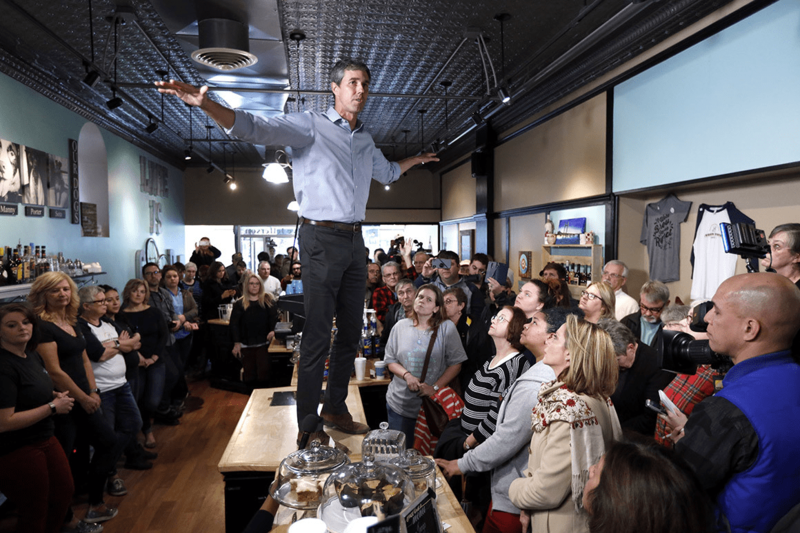 Beto O’Rourke has a rough 2020 Campaign rollout….. He last to Try Cruz in Texas…. He got in his car and drove around the country to find himself…. Couldn’t make up his mind to run …run for the US Senate in Texas…or…For President…. He’s gonna run for President…. Unlike the Kamala Harris or Bernie sanders polished campaign jump off? We have a guy standing on a coffee shop table waving his hands and saying he’s ready!…. And that was after the national press swarmed him in El Paso during a recent Donald Trump appearance there, after O’Rourke graced the latest Vanity Fair cover, and after Oprah Winfrey, who had her choice of accomplished women candidates to feature on her program, instead zeroed in on the white guy from Texas. “I feel like the media is always captivated by the person they seem to think is a phenom: Bernie. Trump. Beto. But they always seem to be white men who are phenoms. In a year where we have more choices than ever, more women and more persons of color than ever, none of them seem to be deemed a phenom,” said Mary Anne Marsh, a Democratic political consultant….